Philip Beesley is a practicing visual artist, architect, and Professor in Architecture at the University of Waterloo and Professor of Digital Design and Architecture & Urbanism at the European Graduate School. Beesley’s work is widely cited in contemporary art and architecture, focused in the rapidly expanding technology and culture of responsive and interactive systems. He serves as the Director for the Living Architecture Systems Group, and as Director for Riverside Architectural Press. His Toronto-based practice, Philip Beesley Architect Inc., operates in partnership with the Europe-based practice Pucher Seifert and the Waterloo-based Adaptive Systems Group, and in numerous collaborations including longstanding exchanges with couture designer Iris van Herpen and futurist Rachel Armstrong. 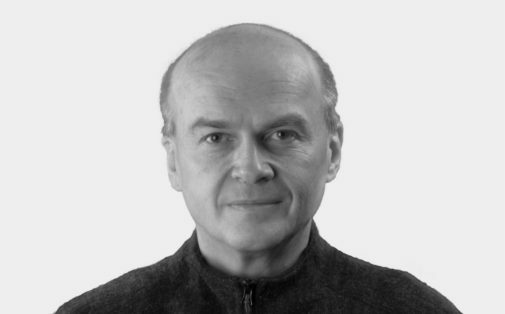 As an internationally recognized expert and pioneer in kinetic, responsive, near-living architectural installations, Philip Beesley leads the LASG Partnership and the Scaffolds research stream. As the leader of numerous collaborative projects, Beesley has senior level experience managing large, complex multidisciplinary teams and large-scale public architecture. Work resulting from the previous SSHRC partnership were presented in several public venues including the 2012 Biennale of Sydney. As a Professor at the University of Waterloo, School of Architecture he has mentored +1500 architecture students. He has authored and edited 19 books and has been the chair for numerous symposia and conferences.